Autonomous vehicle is globally describe as new experience for transportation and a big disruption on our habits. If you just consider you won’t have to touch a steering wheel anymore to go from point A to B you can totally rethink the car user space. As a consequence your car becomes a extension of your home where entertainment will have the largest place. Last survey reports only 11% of people are ready for being in a car where they won’t have the control. This figure is really low but, in reality, it is already a larger number than a decade ago. 65% of drivers actually wants to keep control of the car. Statistics shows any generation of people are looking for collision avoidance solution which is one on the only point they agree the same way. 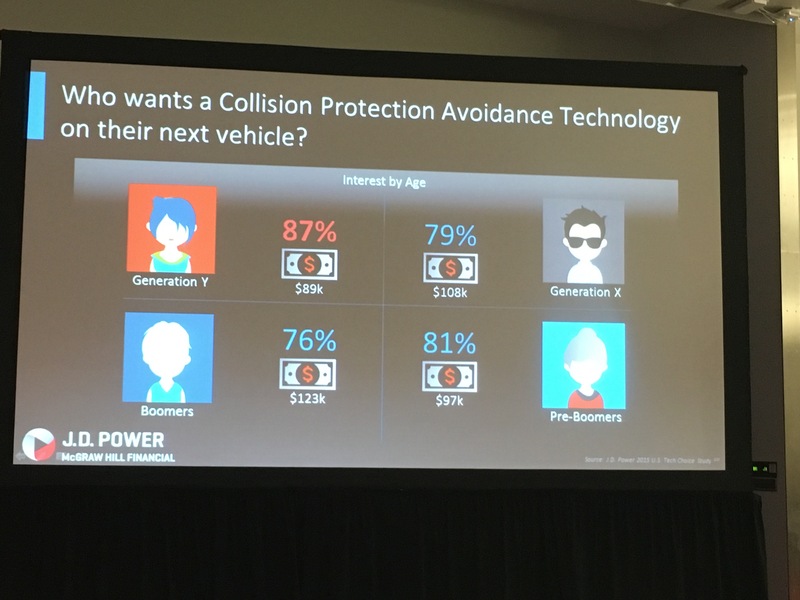 This is true for blind spot option, nigh vision and enhanced collision avoidance… where the expectation is 87% of Y generation and >75% for others according to JD Power study. Due to this, autonomous vehicles make more and more interest for 25% of consumers in 2014. It is a raise of +25% compared to 2013. To convince anyone, these technologies must be trusted by the consumers. Actually this is not true : as an example, blind spot detection are not always working for 45% of user, have false positive for 44% and for the worst some false negative for 23%. Elon Musk recommend to keep hands on steering wheel, for safety, when the autonomous options are activated. Youtube have plenty of video where the Tesla cars do not have the expected behavior when activating autonomous stuff. Trust requires time ! In this area, we expect 2 new phases. The first one is based on co-pilot functions. It will be on top around 2025 as for fully autonomous cars we are going to wait for 2035. By-the-way, if you consider actually 93% of the accident are under the responsibility of a human error you understand more the large place for massive adoption of these technologies. This is the main pain all the actors are announcing as their goal : saving tens of thousand life per year by going from 93% to 0% of accident. It means save 30.000 American life a year. But, as Amon Shashua CEO of Mobileye says, a goal of 0% is not a reachable target. A decrease by 2x or 3x is more probable. It could save many many lives. For sure, this goal is not an easy one to reach. All the actors have in mind the responsibility of any accident later will be at choice: caused by the technology of the vehicle or by the infrastructure. It means the responsibility of these actors themselves. Said differently any error they will make in this technology will cost them a maximum. It is also why the time we will remove the steering wheel is not near us: when the technology will fail, if the driver keeps a potential control on the vehicle it will always possible to say that he is responsible to not have taken control of technology to stop and avoid the crash. Actually to drive an autonomous vehicle you need a special license in USA which is more restrictive than classical driving license. It is because you may have to be a better driver to keep control during potential crisis situations, in emergency. All of this means: the way to change the mind and to get the trust is still a long way to go. For these reasons we can’t imagine to have half working solution. The market time for Autonomous vehicle is about a decade. We don’t have a lot of constructor presenting a roadmap but KIA did it. In their opinion, this means 2030. For Volmar Venner from Bosh, as many others, there is not a disruptive technology we are waiting for but a path to the autonomous vehicles with different steps including automatic parking in 2018, autonomous driving on highway by 2020 and so on. Acquiring data is why all constructors, actually do autonomous vehicle experimentation on the roads. Toyota announced different partnership with Mobileyes. Volkswagen recently made investment in digital map and create a partnership with Mobileyes for creating high 3D resolution map. 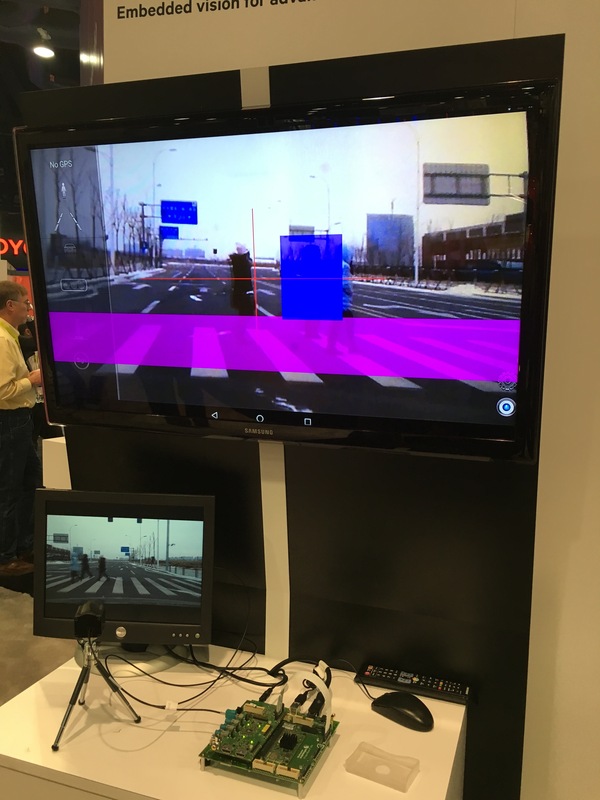 They will be based on embedded camera analysis and for any road. This is one of the first crowdsourcing of data in the automotive industry ! GM also announced to have its own autonomous fleet actually on the road. Kia just get the agreement from the Nevada to start operating vehicle. Volvo also announced large autonomous vehicle test in 2017. 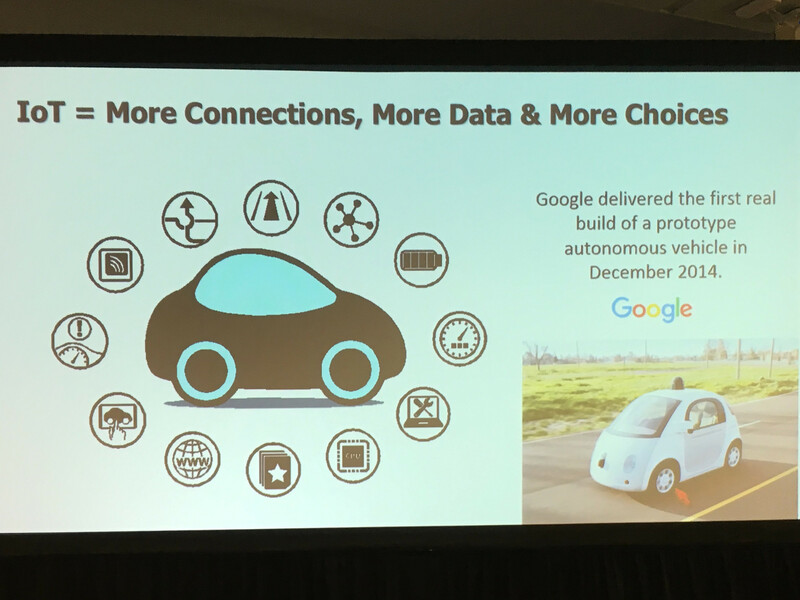 A vehicle is actually gathering about 1Gb of data per hour and future of connected car is to have about 1000 different interface between vehicle and infrastructure to work seamless together according to Stephan Tarnutzer from FEV. Vehicle to Vehicle (V2V) communication is an existing technology operational since 2012. As all vehicles must be equipped for having this technology making sense, solution for aftermaket have to be found. Solution based on driver smartphone could be the best way. This is big data! We also have to consider when we are going to have referential data for road and infrastructure the vehicle also will have to integer dynamic elements like a truck loosing parts on the road. Actually this last situation is an example of dynamic use case it is really hard to detect and to manage. Dynamic change of the environment is requiring V2V communication to be taken into account with efficiency. Considering autonomous vehicle as the replacement of the human by a machine is not the right approach. I mean if we consider the solution is to have a machine doing as a human but better is not the solution. It is actually what we are doing because we have to. But if we limit to that, we have no chance to reach 0 accident but just being a little bit better than the actual 93% of human error. Don’t forget, if our society accepts people can be killed by the mistake of another, it will never accept technology kills ! This area is a must have: we have seen what NVidia propose in the automotive domain, and the power of the new GPU are equivalent of 150 macbook pro allowing to get real time analysis of the environment. But as I written previously it is not sufficient for reaching a 0 accident. For this we need to anticipate the issues : we need communication. Communication between vehicles and communication with the infrastructure. As a consequence not a constructor can provide a solution but all together they have to provide solutions including the state and infrastructure manager. For this reason, Toyota, after having opening its patent portfolio on fuel cell technology now announce 1B investment on automated driving and propose to do open innovation with the overall ecosystem. Sherif Marakby from Ford agree that sensors are only the first step but standards and protocols are required for making this true. Continental recommend to have shared data in an open platform as data will be the fuel of autonomous driving. But actually we do not really have a large consortium to create and share theses standards. ITS works on platform for infrastructure data sharing but Anthony Foxx from transport US department is first to say that we are buzzing on smart city but states do not concretely know what it means. As Bosh says, changing a urban light bulb to go to LED instead of going to smart city light is a big problem because it is a missed opportunity to equip the infrastructure and gather the needed data. In this area where investment are made for decades this lake of global strategy and miscomprehension of what smart cities are will have for consequence time lost. As a consequence V2V and V2I (Vehicle to Infrastructure) communication are near to zero but this will be the first growing direction ; actually we have about 50M vehicles connected to Internet and 64% car owner are looking for this capacity. Safety is the main driver : next release of 911 center will be able to receive data and photo from vehicle to faster understand the situation on the field and be more efficient. Main connected services are e-Call, roadside services, entertainment, UBI with an expectation of 30 to 40% drivers deciding to share their data with insurance themselves by clicking an in-car button like GM propose in partnership with progressive… General motors actually manage 2 call a minutes for its emergency connected cars. For the next decade come with big challenge, for all the actors, if we want to have quickly autonomous vehicles we need to have all vehicles on the road capable to communicate each others but the parc rotation is really long (15 years in Europe) so this means that solutions for aftermarket have to be developed and that we need to push innovation to the customer. To make a parallel it is like the texting systems the network operator have launched before opening the cell phone network. They start financing the cellular network with text systems (like sms) before opening voice then data. So we can be prepared to have cool stuff in car soon. This is a major change as by the past the principle was : you want the cool stuff ? buy the new car … Now the situation have changed and constructor and administration will get benefit of making the customer acquiring aftermarket equipment to upgrade his vehicle. Different speaker are seeing regulation as an actor that is slowing down progress. As an exemple, why would you accept to pay an overhead for autonomous parking solution coming soon if regulation requires you are in the car during this function operate ? Some other reasons have been describe above. According to Regina Hopper from ITS America, service is not yet anymore dealing with FCC but with consumer and we tall to FCC consumer need which is a big change. Uber is one good exemple for this. In another hand, regulation can accelerate deployment of safety solution, even on aftermarket in US transport department point of view. They, as an exemple, are able to push to use bus blind spot detection system from MobilEyes (Shield+) on certain buses. The regulation approach also illustrate two different way of mind in the industry. 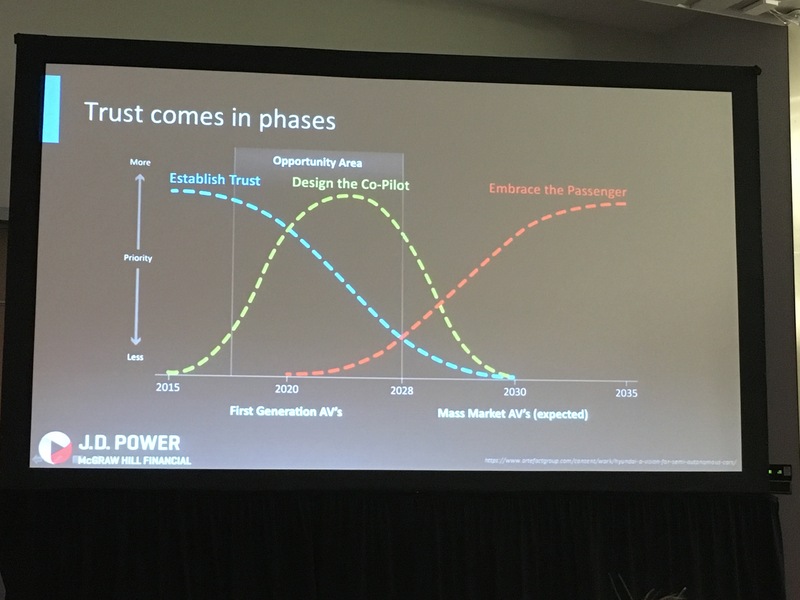 By listening all the actors during CES conference, I saw a large difference between classical automotive actors having an incremental projection aligned with regulation incremental adaptation and tech companies having disruptive position and expect to impose regulation changes coming from customer need. Electrical vehicle is a great opportunity for disruption as it allows to make it without having to manage the 100 year of legacy the automotive industry is accumulating it so an enabler for the disruptive/tech companies. Disruptive is also the impact of driverless vehicles as soon as no steering wheel will be required in the car ; different speaker said car are going to be computer on wheel of house extension on wheel over of what they are today. You have to understand that a car is actually about 100M line of code. This will allow to redesign totally the way it is actually with a priority for confort and entertainment. In this direction we have two point of view that in my opinion are not totally compatible but I heard no-one on this dilemma : driver-less car are going to be a commodity that you have no reason at all to own versus driver-less car are an extension of your home which means, in my point of view, ownership priority ; at least consider it as owned or personal. General Motors consider that a large part of vehicle will be a commodity you share and for this reason have announced a 500M investment in lyft for being in a good shape for deploying, at end, fleets of driverless car. They said : « selling one car to every person with money to buy one is no loger viable ». This point of view have a large impact on the infrastructure and market, in a way it means less vehicles but not too much as many more people like elders will be in a position to access mobility they do not have actually. It means less car on road and travel time more efficient as being spent working. Car2Go CEO who explained he wake up at 4am and back at home at 8pm because of 2:00 of transportation each way is expecting passing part of his working day in his car for being able to have a normal family life. In another hand it will also impact airlines as for short distance up to 10 hours, you can prefer being in a car instead taking a plane. 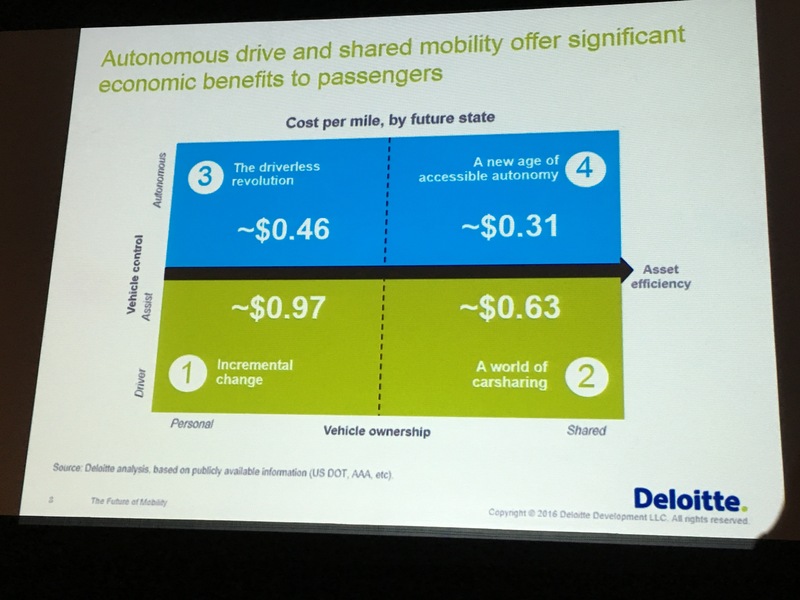 In an economical point of view, when the price per mile is actually around 0,91$ is would reach the 0,31$ with shared driverless vehicle according to Deloitte which mean transferring value from making car to managing fleets, end-to-end mobility experience & services. This includes a reduction of the taxes revenue link to mobility. Insurance will move from personal liability to catastrophic system failure. 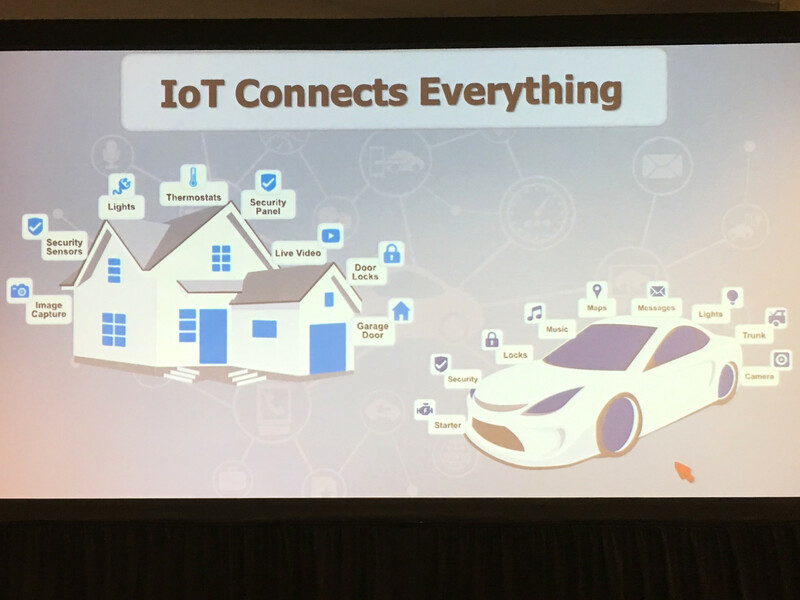 On another hand, for those who consider car as a home extension, they includes smart home connectivity like Volkswagen, Ford but also entertainment systems like cat-theater, tv, network …. according to Ted Cardenas from Pioneer. The car equipment will be more and more important, you have to consider that already these days 65% of people are ready to change car brand to access the techno they want, this is 9% more than past year. The VW e-golf and Budd-e shown at CES contains many of these options and announced as smart phone on wheel. It use gesture recognition and vocal control, includes Qi Charger for phone, USB-C for laptop connectivity… Budd-e is also a extension of you mail box allowing someone to deliver stuff to the car safely. One of the answer of this dilemma is to consider that mobility will be really a large panel of different services including the driverless car you can own or you can get on demand / share with many more public solutions. Another answer is to consider we are discussing 2 different steps of the vehicle automation : the entertainment first, then the end of the ownership or eventually two market segments depending on revenues. For GM, we are going to see more change in the next 5 years than in the past 15 in the automotive economy. 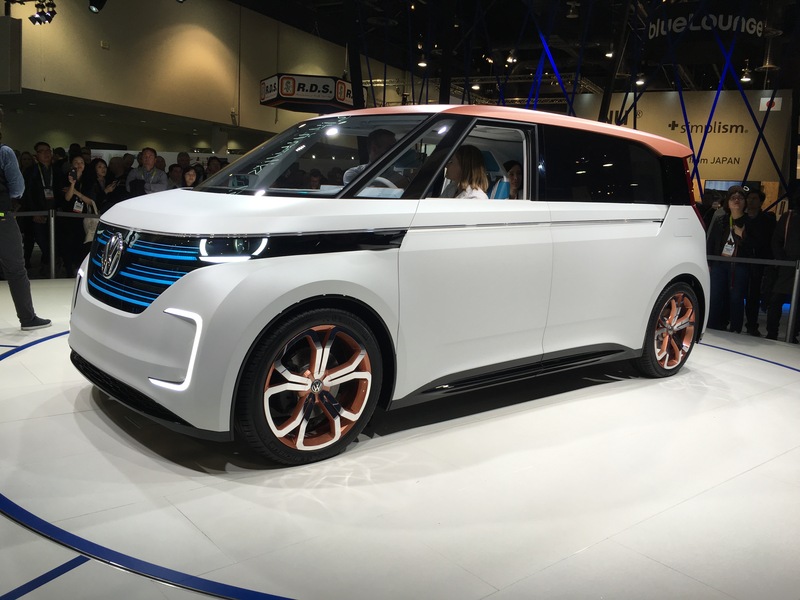 This entry was posted in Technologies and tagged Autonomous vehicle, CES, CES2016, Connected Cars. Bookmark the permalink.